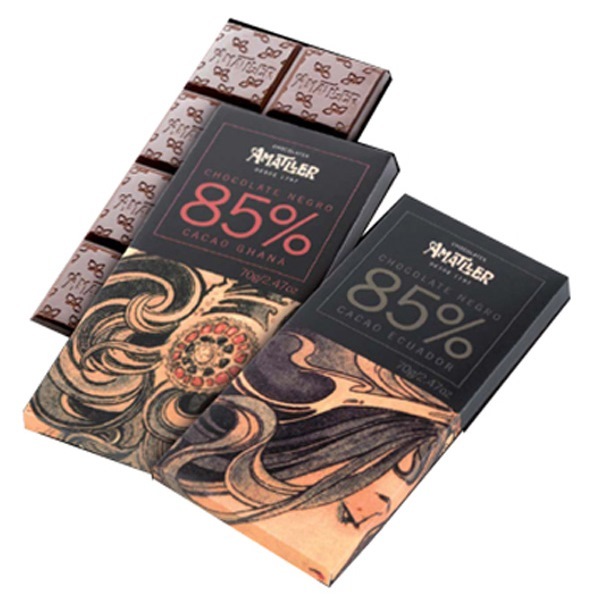 This collection offers the opportunity to taste two single-origin chocolates, from Ghana and Ecuador, in two different concentrations of cocoa, 70% and 85%. For lovers of the natural tastes of single-origin cocoa, with no added flavours. 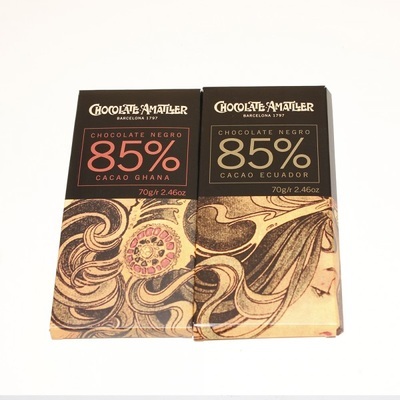 The Ghanaian cocoa is of the Forastero variety and has a pronounced taste, with a fruity note and toasted notes of prolonged intensity on the palate. 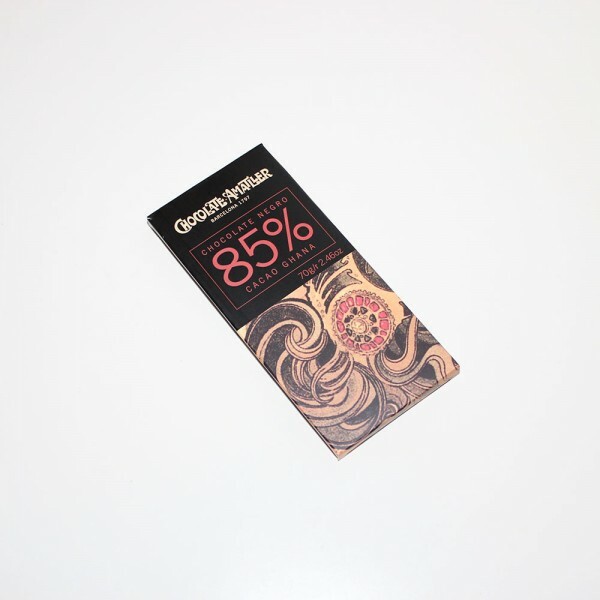 The Ecuadorian Arriba cocoa is of the Forastero family and is ranked among the cocoas considered “Finos de Aroma”. It is a harmonious and delicate cocoa, with light floral touches that combine perfectly with notes of dried fruit. Gluten free. 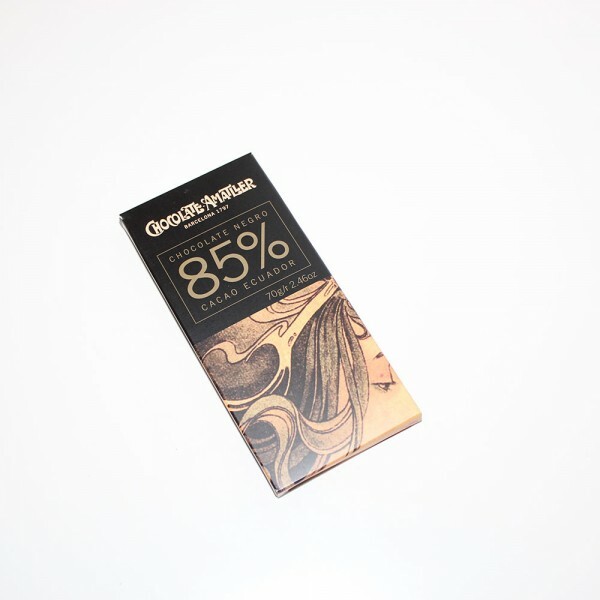 May contain nuts and/or milk traces. 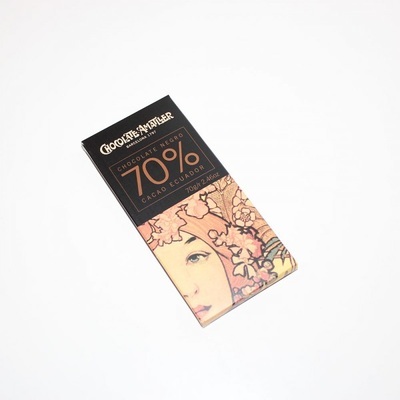 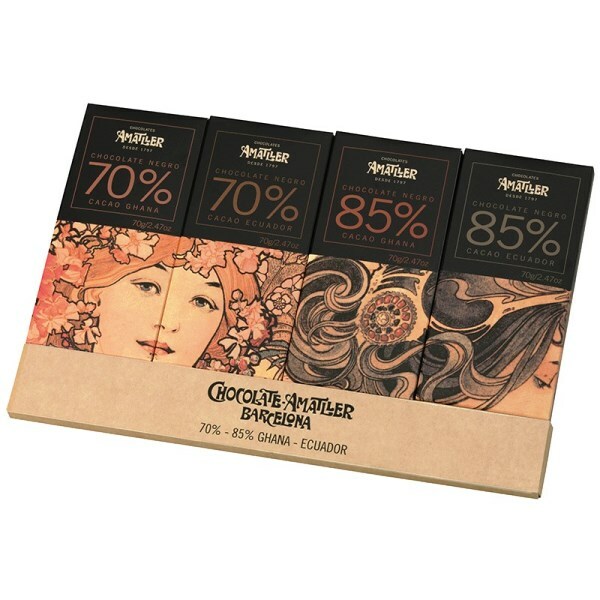 It was back in 1900 that Antoni Amatller, owner of Catalonia’s oldest chocolate company- founded in 1797- commissioned Czech artist Alphonse Mucha to design a sensual box for his chocolate coated almonds. 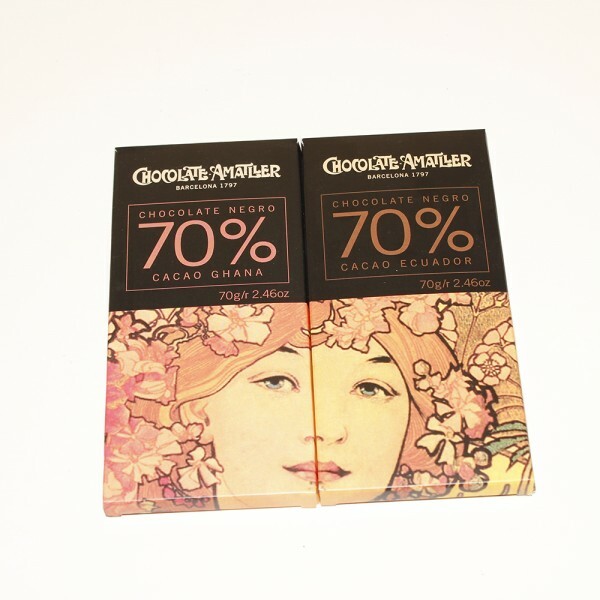 This began a happy tradition by which Amatller Chocolate used Art Nouveau to brighten up its chocolates and turn them into ready-wrapped gifts.